This page includes The Club News columns from the 1995 issues of Across the Fence Post. Dates for the CWSC dealer’s bourse for the first half of 1995 are: January 14, February 18, March 11, and April 8. The bourse is held at the Rib Mountain Travel Inn located at the junction of Hwy. 51 and County N (exit 188). Bourse hours are 10 a.m. to 4 p.m. The OPS, founded in 1930, is still going strong. Throughout the years, more than 300 philatelists have held membership in the OPS at one time or another. In 1934, the OPS hosted the third annual convention and exhibition of the Wisconsin Federation of Stamp Clubs. They also hosted the 1948 convention and the 1989 convention in conjunction with the Outagamie Philatelic Society. The group's 35 members meet at 7:30 p.m. the first Tuesday and third Monday (September thru June) at the Oshkosh Post Office. The WPS's annual public stamp auction is scheduled for Saturday, March 18, 1995, at the Wauwatosa Civic Center, 7725 W. North Ave. The auction will begin at 1:00 p.m., with lot viewing starting at noon. A list of the lots will be available after March 5 from: Claude Giralte, 253 W. Highland Dr., Grafton, WI 53024. Send a SASE with your request for the lot list. DANEPEX '95, which is sponsored by the Badger Stamp Club, will be held October 7 in Madison, WI. TOSAPEX '95, sponsored by the Wauwatosa Philatelic Society, will be held October 28-29 at St. Aloysius Gonzaga Hall, 1435 So. 92nd St., West Allis, Wl. The 1995 Fall Coin and Stamp Show, sponsored by the Kettle Moraine Coin and Stamp Club, is scheduled for November 11-12. It will be held at the Paradise Mall, 1400 So. Main St., West Bend, WI. For further information, contact: Bill Yankus, P.O. Box 251, West Bend, WI 53095-0251. Milwaukee-area clubs held their ninth annual Distinguished Philatelist Appreciation Dinner on March 5, 1995. 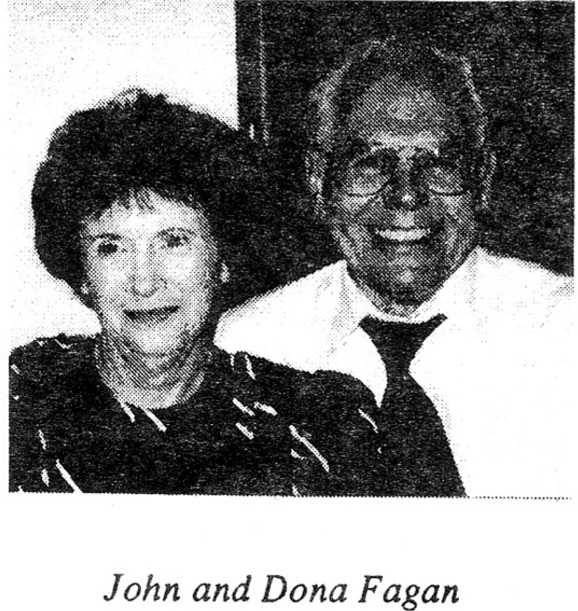 This year's honorees were John and Dona Fagan. They were selected for the honor because they have visibly and repeatedly demonstrated their interest in the hobby of stamp collecting and in developing interest and enjoyment of the hobby for others. John is a member of almost all Milwaukee-area clubs; he founded two, and holds several offices. He also is a WFSC officer and printer and distributor of ATFP. Dona is especially active in the Milwaukee Philatelic Society and the Germany Philatelic Society, Chapter 18. The 1995 event was hosted by the Wauwatosa Philatelic Society, with Douglas Van Beck serving as chairman of the Advisory Committee. On February 1, the Sheboygan Stamp Club honored Ruth Hoppe with a Distinguished Life Membership Award. Her club service includes almost 25 years on the SSC show committee, treasurer for 20 years, and chairman of the club's Sunshine Committee. For the past 18 years, Ruth has coordinated club group orders to U.S. Postal Service philatelic outlets for new issues not available from the Sheboygan Post Office. She offers this service to both active and shut-in SSC members. WALCOPEX '94 is scheduled for September 9-10 at the YMCA Building in Lake Geneva. Hours of the show are 10 a.m. to 5 p.m. on Saturday and 10 a.m. to 4 p.m. on Sunday. A public auction will be held on Saturday, September 9, beginning at 5 p.m. The Wauwatosa Philatelic Society held their annual public stamp auction on Saturday, March 18, at the Wauwatosa Civic Center. Approximately 50 participants were present to bid on the 228 auction lots. The sale totaled over $1600. A Recalled Legends of the West pane with a $125 minimum bid sold for $161. The Milwaukee Philatelic Society announced that beginning with the 1995 show, MILCOPEX will be held each year on the third weekend of September. Dates for MILCOPEX '95 are September 22-24. The event will be held at the Milwaukee Exposition and Convention Center (MECCA), 500 W. Kilbourn Ave., Milwaukee. Reduced-rate parking of $ 1 per car after 3 p.m. on Friday and all day Saturday and Sunday is available at - MacArthur Square, located at North 7th Street and West Kilbourn Avenue. The show will feature over 2500 pages of stamp exhibits and 60 dealers from throughout North America. The American Society of Polar Philatelists will hold its annual meeting in conjunction with MILCOPEX '95. Future MILCOPEX dates and national philatelic specialty conventions are: Society for Czechoslovak Philately, September 20-22, 1996; United Postal Stationery Society, September 19-21, 1997; and American Helvetia Philatelic Society, September 18-20, 1998. MILCOPEX is Wisconsin's only national philatelic exhibition, where the grand award exhibit is eligible for entry in the American Philatelic Society's annual World Series of Philately competition. Request a free copy of MILCOPEX exhibitor rules by writing to: MPS-Exhibits, Box 1980, Milwaukee, WI 53201. MILCOPEX exhibit frames hold 16 pages each. The entry fee is S6 per frame. Juniors may exhibit at no charge. Exhibitors need not be members of the Milwaukee Philatelic Society to enter and exhibits are always welcome. 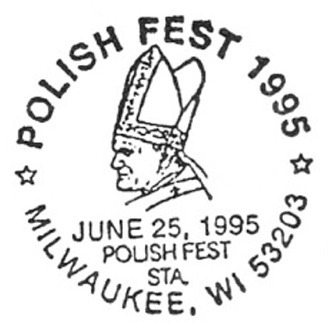 The 75th anniversary of the birth of Polish-born Pope John Paul II is the subject of a set of three different cacheted postal cards issued by the Polish American Stamp Club to complement Milwaukee's 1995 POLISH FEST. The event was held at the Henry W. Maicr Festival Park, June 23-25. The cachet designs feature Polish postage stamps issued to note significant events in the Pope's life. The Friday and Saturday cachets are printed in red and blue; the Sunday cachet is in gold and red. The designs are printed on the non-denominated U.S. Old Glory postal card. The U.S. Postal Service in Milwaukee applied a special cancel each day of POLISH FEST. For mail-order information about the cards, write to: Polish American Stamp Club, Box 1920, Milwaukee, WI 53201. Enclose a SASE. 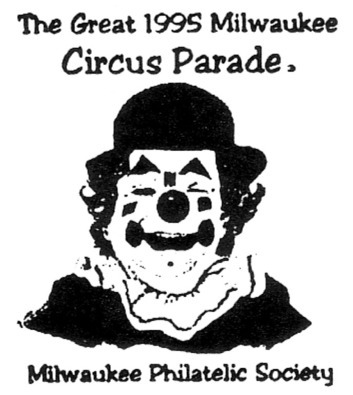 The Great 1995 Milwaukee Milwaukee's Great Horse-drawn Circus Parade is the subject of a set of four multicolored covers produced by the Milwaukee Philatelic Society to commemorate the July 13-16, 1995, parade celebration. The cachet features a clown; the special cancel depicts a carousel horse. Mail order instructions are detailed on p. 10. The MPS, founded in 1899, is comprised of approximately 200 members and has issued souvenir circus parade covers for each year 1971-73 and 1985-95. Collectors may request a list of available past souvenir covers when placing a 1995 order. The Janesville Stamp Club welcomes all youths through age 13 to participate in the club's cachet-design contest. Note, however, that entries must be received by September 18. 1995, so HURRY! Draw a design to complement the U.S. 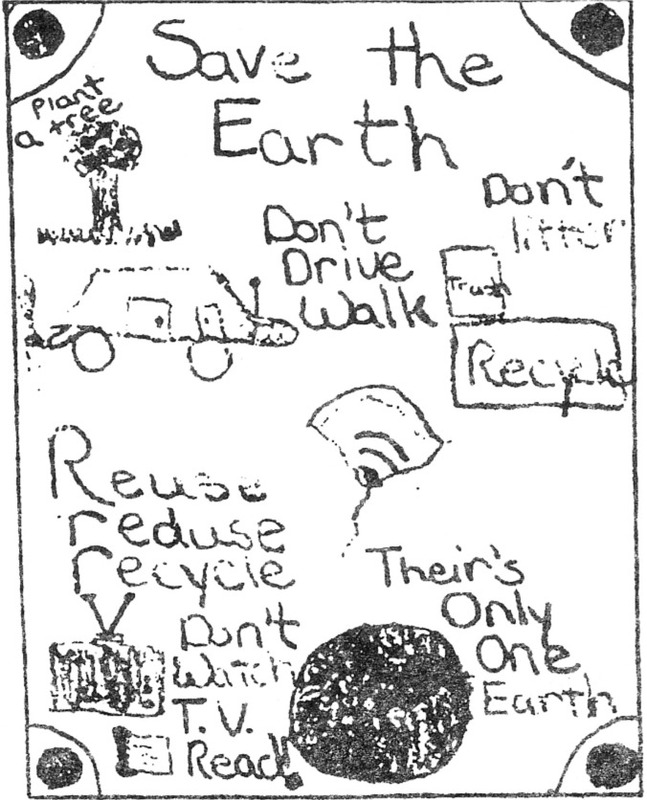 Postal Service Kids Care About Environment stamps issued in April 1995. The design should fill a vertical space of approximately 2'/a" by 33/a". Members of the Janesville Stamp Club will judge entries. The youth with the winning entry will receive a $50 bond, and the design will be used as the show cover cachet for the club's 1996 Annual Show and Bourse. Mail entries to: Janesville Stamp Club, 1604 So. Crosby, Janesville, WI 53546. Be sure to include your name, address, phone number, and age. The contest is also being promoted in the Janesville schools. It was a low blow for the Badger Stamp Club to learn of the U.S. Postal Service's decision to postpone the promised 1995 Prehistoric Animals issue. The club had spent months of planning with the University of Wisconsin Geology Museum in anticipation of these stamps as a focal point for their DANEPEX '95 theme. Bones of the saber-tooth cat, housed at the museum, are cleverly depicted on the show's special cancel. The colored cacheted cover features the museum's logo, which includes a local mastodon. With the show scheduled for October 7, there was no choice but to pay premium prices for sheets of the 1989 Prehistoric Animals issue (dinosaurs) for use in franking the covers. See p. 10 for mail order information. WaUSApex '95, sponsored by the Wisconsin Valley Philatelic Society, will be held September 30 - October 1, at the VFW Hall, 388 River Drive, Wausau, WI. Visitors should note that this is a new location for the show, which for many years was held at a motel off of U.S. Hwy. 51. The VFW Hall on River Drive is in downtown Wausau, just west of the Wausau Center Mall on the east side of the Wisconsin River. This year's show theme is "V" for Victory in World War II, which is depicted on the cacheted cover offered in conjunction with the show. See "Cover Listing" on p. 10 for mail order details. Can you guess this show's theme? See p. 10. To promote youth philately, the Lake County Philatelic Society (Gurnee, IL) is implementing a Kids Kollect program at a local school. To get the program off the ground, the club needs stamp collecting materials: stamps, albums, hinges, etc. Send your donations of items to: LCPS, c/o Howard Shaughnessy, 6834 West Monticello Ct., Gurnee, IL 60031-4036. The Lake County Philatelic Society is a WFSC member club. In September, the Janesville Stamp Club sponsored a youth cachet-design contest using the U.S. Postal Service Kids Care About Environment stamps as the theme. The contest was promoted among Janesville-area schools. Over 270 entries were received and, via vote, the club membership selected the winning entry (shown here). The winner, l0-year-old Sarah Jorgenson, attends St. John Vianney Catholic School She won a $50 savings bond that was presented to her at the October club meeting. The design will be used as the show cover cachet for the club's 1996 Annual Show and Bourse that will be held in February.